Comments: Deciduous broadleaf native to the eastern US and Canada. Compound leaf with 7 to 9 leaflets, white flower clusters in spring and purple berries in fall. 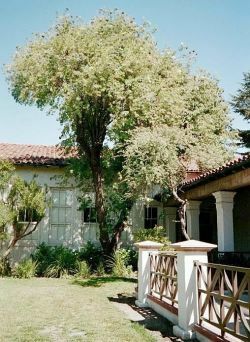 Tree tends to be bushy and low growing, but specimen tree is large trunked and 20' or more in height. Also known as American Elder or Sweet Elder.